Farsiu, S.,Robinson, D., Elad, M., Milanfar, P.”Fast and robust multiframe super resolution,” IEEETrans.ImageProcessing 13 (2004)1327?1344. Thank you for your sharing! I try to run your code on VS2010 and Open CV but there are some errors existing such as”Unhandled exception at 0x7603c6e3 in SuperResolution.exe: Microsoft C++ exception: cv::Exception at memory location 0x001be79c..”, which I don’t know how to debug it.Could you give me some suggestions about how to run this code successfully to achieve super_resolution? If I already had my own sample images which were shifted a little in comparison with the first image, how can I modify your code to achieve the matrix A as well as the final super resolution image? I already tried to use the function “calcOpticalFlowPyrLK” to calculate the displacement between the first image and the others based on the iterative Lucas-Kanade method with pyramids. 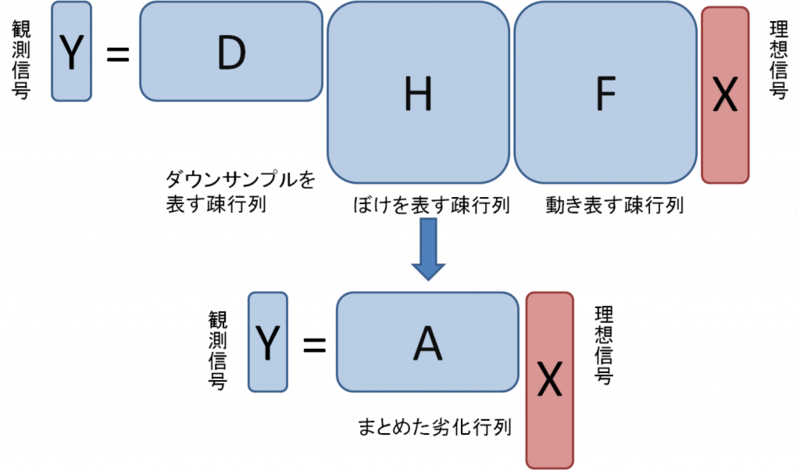 Then, I returned the result of that function to the array move[i].x and move[i].y in order to calculate the matrix A. However, my solution did not seem to work correctly at all!! Please let me know if you have any suggestion!! Please modify the loop of (1) and the function of “createDegradedImageandSparseMat32″. This loop generates randomly shifted-multiple images from single image. If you want to use pre-captured image, please modify this part. I have a problem with this code. What is the allowed maximum size of the input image? I cannot know that because the size depends on OpenCV core function’s version deeply. In my computer, I cannot set large image size (256×256, 512×512). Awesome – thanks for the code. Do you know if any newer, better techniques have come up? where to post if not here. I tried to use your code in a set of images not generated by the progam itself. These images are aligned; so no movement is taken in account. They are noisy already. because createDownsampledMotionandBlurCCDSparseMat32f( ) expects a source of the same size as the output. I tried resizing the input images to destination size (rfactor times), and using move parameter 0,0. The noise was removed but no superresolution achieved. Please use following function for computing sparse A matrix. src: image which has desired (super resesoluved)resolution, which has not contain image data, bacause only image size is required. >>The noise was removed but no superresolution achieved. 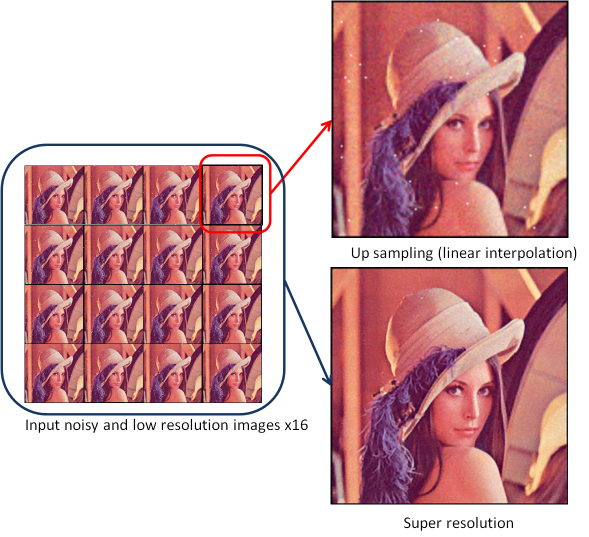 This implementation is based on multi-frame super resolution. Thus, this method has weak capability for single image SR.
Farsiu, S.,Robinson, D., Elad, M., Milanfar, P.”Fast and robust multiframe super resolution,” IEEETrans.ImageProcessing 13 (2004)1327-1344. All it’s cool! But where is dowload link and how to compile it?